New Projects for improvements to the Club. Not too long ago, with a lot of support from the Lodges and their members we completed some significant improvements to our Club. Proper heating/air conditioning to replace the old inefficient heating. New Windows in the bar. Not a cheap job. 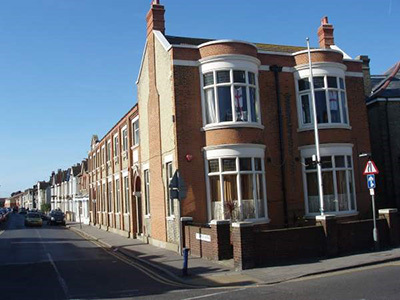 We didn’t just chuck in some UPVC windows, we repaired the originals, with the same types of materials already there. And of course, the ongoing maintenance needed to keep the club safe and secure. Hall Decoration. The ceiling in the dining hall is over 40 years old, the parquet flooring is over 100 years. We need to have a look at both of these with a view to refurbishment. Above the ceiling tiles, the roof should be OK, outside the roof tiling is in very good condition, but the ceiling tiles are of a type no longer made and need replacing. The parquet floor has been looked at and it looks as if about 40% of it has dry rot. Initial inspection advises that it should all be replaced, and although there are cheaper floor types than parquet, parque flooring will last much longer. These projects are going to cost. Dear Friend, please feel free to explore our website, which should offer a good overview of all aspects of Freemasonry on the Isle of Sheppey, from the meaningful and worthwhile purposes of our fraternity to the news items and photographs showing the great fun enjoyed by our members, families, friends and neighbours. We believe Freemasonry has a terrific amount to offer the Isle of Sheppey in today’s society – not just to its members but also to the communities around us. The financial and practical support of charities and local good causes is close to Sheppey Freemason’s hearts and within this site you will find stories and photographs about this aspect of our organisation. 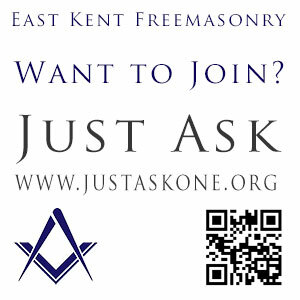 If Freemasonry sparks an interest within you, then ‘Just Ask’.